Recruitment Marketing Platforms: Dead or Thriving? Both articles raise interesting questions about what problems need solving in recruiting and how different technologies have tried to solve them. Below I’ll dig into both perspectives and sum up the broader questions that recruiters need to ask about not just recruitment marketing platforms, but about their whole process and all the tools involved. It’s a fair point, considering how many job applicants still face the situation described above. Recruitment marketing in and of itself does not fix a problem caused by employers and recruiting agencies who still use tools and processes that are suited to their own bureaucracy instead of a positive candidate experience, which in turn positively impacts hiring. So if recruitment marketing platforms are simply a glossy veneer designed to lure candidates in without the infrastructure to capture and retain them, as the picture Steele clearly paints, it does sound like they’re a dead-end. I’ve advocated for community building in order to build candidate pools and attract a mix of professionals including both active job seekers and passive candidates, and I can see how on the surface one might ask this question. But community-building can’t just be about what’s in it for the employer, recruiter, or job board. If you’re building a community, you’re building something of value for both the candidate who is tossing in her business card and the candidate who would only be tempted by something more. That’s why you have to add that “something more” into the mix. 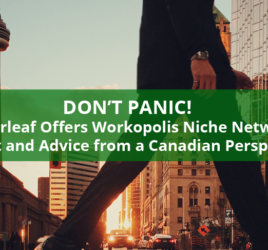 Maybe it’s networking, maybe it’s industry-focused news and career development advice and services – but your community does have to provide value to the talent side of the equation in order to really work. For smaller companies, this might be difficult from a resource standpoint, which is where niche job boards and recruiters can really make a difference. While I agree that programmatic advertising certainly is an innovation that recruitment marketing has taken advantage of in recent years, I hesitate to look at it as an answer to all the problems Steele highlighted. Programmatic advertising is one of many tools that can be used to reach candidates, but it can’t be the only tool. Not just because ad-blocking technology exists and because demographics-based targeting can allow for discriminatory advertising (as Facebook is currently grappling with in several countries), but also because the best candidates may not fit your digital profile. Programmatic is a convenient way to supplement your recruitment marketing efforts, but it’s not the only solution. It also fails to address the issue of candidate experience (you’ve reached them, but what happens after the click-through?) or continuing to engage talent over time (they see the ad but don’t want to apply – now what?). So where does that leave recruitment marketing platforms? Dead as a doornail, or on the brink of evolving into AI-powered advertising? An effective recruitment marketing platform must be a part of your whole approach to recruiting, and it will be different for small companies, corporate recruiters, recruiting agencies, and niche job boards. Regardless of whether you’re a recruiter who posts on job boards, or you’re an entrepreneur building a community-centric niche job board, it’s important to ask the following questions to help you figure out how the longer road that transforms candidates into employees really works. How are candidates being reached? Social media, email alerts, job distribution, paid advertising, content (blogs, resources, downloads, etc), active/outbound research and campaigns. How do candidates connect with me? How do we communicate? 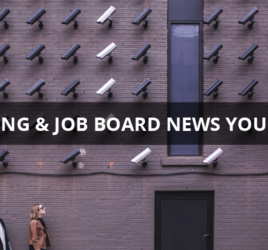 This could be via a job board, social media follows, job applications, newsletter sign-ups, registering on a job board, ATS, careers page, or community website. How do we stay in touch? Is there some mechanism at work that may keep candidates engaged beyond the periods of time when I am actively advertising jobs? Is there an ongoing effort to provide value to candidates? Can I reach out to individuals or groups easily? Am I providing a good candidate experience? Is the way they connect with me positive? Is the application process mobile-friendly and easy to use? Are we committed to clearly communicating our recruitment process and expectations, so that candidates aren’t left in the dark? Does the experience my candidates go through positively reflect our brand? Does the system I use let me maintain candidate data? Do I “own” it? Will I lose access to it if I change the tools I use? Can I build candidate pools for jobs before I even advertise them? Can I actually make use of candidates/resumes/profiles “kept on file”? Being able to market to and reach both passive and active candidates, deliver a positive experience, keep candidates engaged over time, and actually use the talent pool you’ve built, are the key elements that will determine the success of your recruitment marketing.